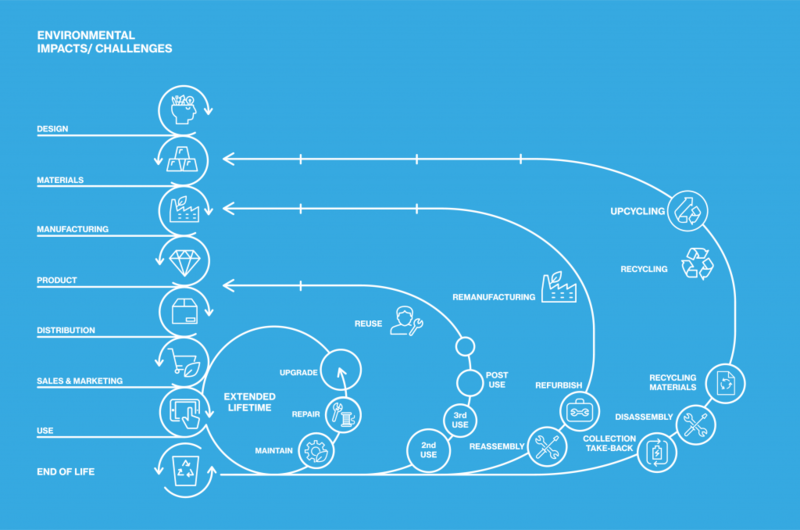 Extending the useful life of products is about more than just recycling materials. It is about keeping a product as close as possible to its original state over time, for instance through longer use, repair, upgrading, refurbishment or remanufacturing. Energy-materials-emission-waste/leaks. Eco-designing a product means make it desirable for people and taking its entire life cycle into account by applying environmental criteria at all stages. Here is the Closing the Lifecycle Loops Canvas.